Indication for sensor, function and relay status. Features :3-1/2 digit, 7segment LED temperature display.Universal input (J / K / PT-100), LED indica.. 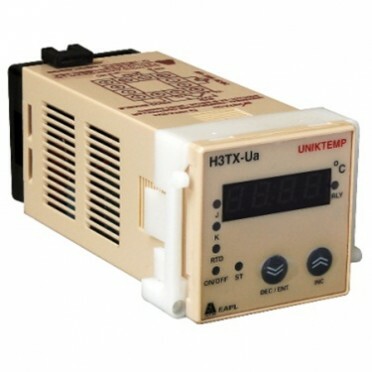 Features :3-1/2 digit, 7segment LED temperature display, Universal input (J / K / PT-100), LED indic.. Features :Universal Input (J,K,PT-100) Selectable, Wide Voltage Range, ON / OFF or Self-Tuned Functi.. Features :3-1/2 digit, 7segment LED temperature display,Universal input (J / K / PT-100), LED indica..